Even when choosing to elope, your wedding day should be as unique as you are as a couple. Our luxurious Las Vegas elopement packages for two are designed to show your unique style. Whether you choose a wedding just for the two of you or a luxury elopement packages for up to 100 close friends, we strive to provide you with the wedding day of your dreams. There are many wonderful locations in the Nevada desert that you need to consider before making your final choice. Located at the base of Red Rock Canyon, nature completely surrounds the lucky couple and their guests when they choose to elope to the replicated old west town called Bonnie Springs Ranch that comes complete with roaming cowboys. The Old West Saloon accommodates up to 300 guests, so your Las Vegas elopement wedding does not have to be kept small. Guests can stay in the 50-room modern motel. Take advantage of their large catering kitchen and heir barbecue areas to host your wedding reception. There are also many venues spread across this property for smaller weddings. You can even leave on your honeymoon by riding their scenic train. If you are looking for Las Vegas elopement packages offering peaceful surroundings, then Red Rock Canyon in Calico Basin may be perfect for you. 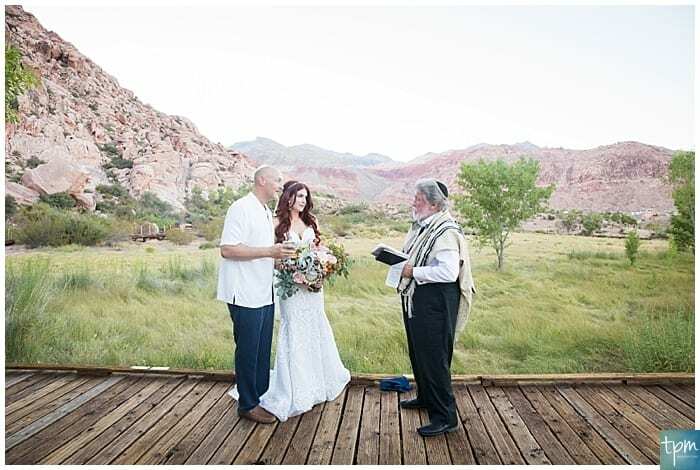 You can even make a stunning entrance by walking down the Boardwalk at Calico Basin that will be caught on film by your elopement photographer in Las Vegas. Keep in mind, there is no drinking water or cell phone service, but the grasslands and mountains serve as a beautiful background. Do not be surprised if you catch sight of a bighorn sheep or mule deer on your wedding day. Ditch any pretense of a long-sleeved high-collar long wedding dress here, however, as temperatures can become quite warm. If you are determined to wear a traditional wedding gown, then reserve this site for spring or fall. Enjoy use of the restrooms, grills and picnic tables. We will take care of any necessary permits, so you can bring in anything you want for your spectacular Red Rock Canyon in Calico Basin wedding. Read about a romantic couple’s wedding in Mountaintop Elopement in Red Rock Canyon. Reach about an adventurous couple’s wedding in Eloping at Red Rock Canyon Overlook. Consider creating a vintage wedding at Eldorado Canyon amidst the crashed airplane, vintage cars, and abandoned vehicles. Choose between the main barn capable of holding up to 95 guests, the smaller Cactus Barn or the Cactus Garden containing an awe-inspiring stained glass arch as the setting for your wedding vows. Since this venue has very few modern conveniences, make sure to work with us to set up your luxury elopement packages at this location. 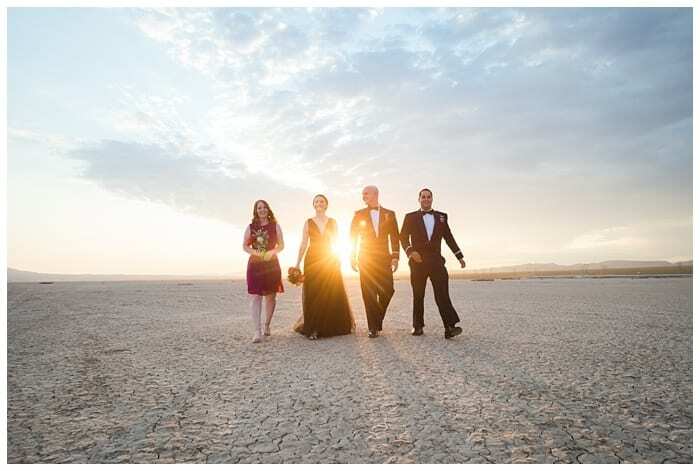 Your elopement photographer in Las Vegas will help you set up marvelous photos with the Nevada desert as your backdrop. Elopement packages here can include transportation for everyone together, mine tours and utility-task vehicle tours. Eldorado Canyon is also located adjacent to Lake Mohave allowing you and your guests to water ski, wakeboard or just catch some rays on the beach. 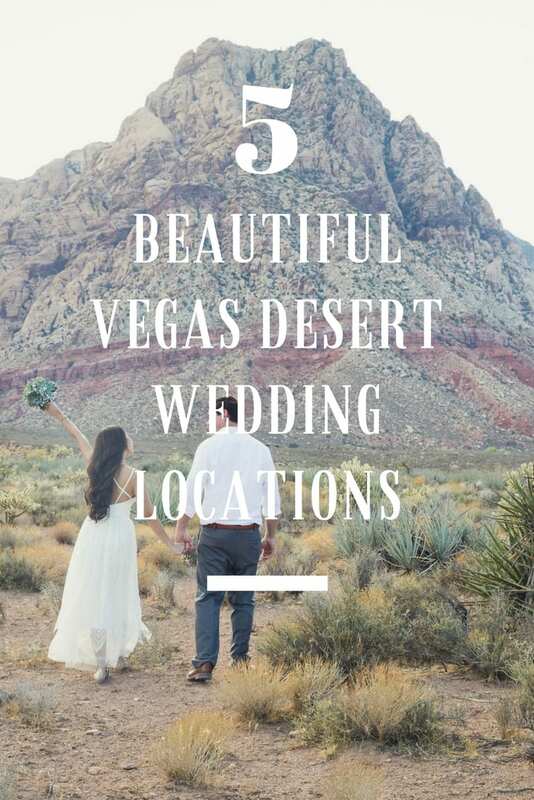 If you are looking for unique Las Vegas elopement packages, then do not overlook Cactus Joe’s Blue Diamond Nursery. Couples can choose to have their wedding in the rustic chapel sitting 14 comfortably or in their beautifully landscaped outdoor area including Asian and western-themed gardens. Alternatively, host your wedding in their Joshua tree forest. There are endless possibilities for creating memorable once-in-a-lifetime events at this location as the backdrop to this stunning location is the Red Rocks Canyon Do not be surprised if their rescued dogs and cats or the resident pig show up to your wedding festivities. While the chapel is tiny, the nursery has plenty of space to host a large outside barbecue or another type of wedding dinner. This location is close to many Las Vegas hotels, shopping centers, and dining options so guests can find plenty of options to keep them entertained. This location sells souvenirs along with pottery and plants so taking home something special from your wedding is incredibly easy. Read about a romantic couple’s wedding in Cactus Joe’s Wedding With a Twist. More about Cactus Joe’s here. One of the most simple places to elope is the Eldorado Dry Lake Bed near Boulder City, Nevada. Your wedding photos will look stunning here as each pop of color in your clothing and flowers shows off stunningly against this clean backdrop. Think of it like a clean canvas sat before an artist, the lucky couple, as it is incredibly easy to transform this lake bed into the wedding site of your dreams. The golden hour makes particularly stunning wedding photos at this location but it is equally possible to capture the sun’s rays popping off objects during a wedding at midday. After the ceremony, you have the option to camp, horseback ride, bike or hike in these beautiful surroundings. Boulder City and Las Vegas are both located nearby if you are looking for some city fun instead. 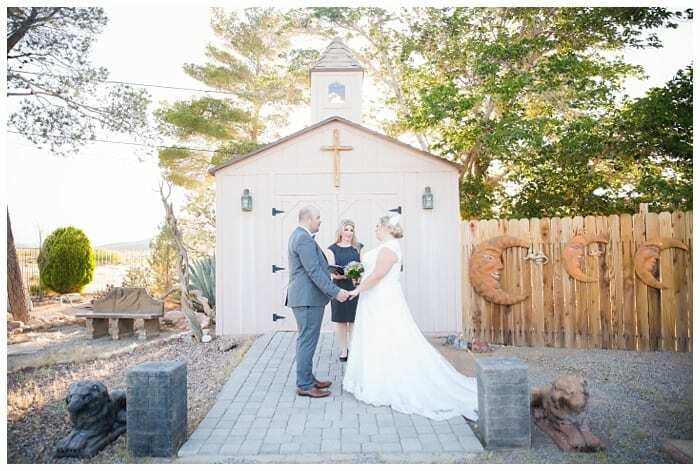 Instead of having your wedding in a corny wedding chapel, imagine the possibilities of using the Nevada desert as the beautiful backdrop for your special day. After all, you will be looking at your wedding photos and reliving memories of that day for the rest of your life so create them in beautiful surroundings. You can count on the quality wedding suppliers at Cactus Collective to help bring your dreams to life. Our wedding elopement photographer knows the best spots on the Strip to take wedding photos along with outstanding locations in the Nevada desert while the rest of our team will be glad to handle permits, food and anything else it takes to bring your Las Vegas wedding dreams into reality. Get started turning your wedding dreams into a reality or check out our guide to eloping in Las Vegas. Hi Mckenzie!! I came across your page. My fiancé and I are interested in getting married in the vegas area. I love your location ideas. Is there any location you recommend if there are elderly guests attending? We have a party roughly around 15 ppl. Hi Ceanna! Thanks for commenting. I did send you a reply, but I do recommend a few locations for elderly. Hello! Interested in having a wedding ceremony and reception out in the dry lake beds. What is required to have that happen? Looking at probably 100 people and hoping to camp afterwards if possible. Most likely only a group of 30 would stay to camp. HI Stephanie! Thanks for the note. Would love to help you with this, make sure to send a note via our contact form!